We’re about to start looking into how sentences are organized in our mental grammar. Before we do that, we need to be familiar with a particular kind of notation called a tree diagram. We’ll see that, within each sentence, words are grouped into phrases. Phrases can be grouped together to form other phrases, and to form sentences. We use tree diagrams to depict this organization. They’re called tree diagrams because they have lots of branches: each of these little lines that join things in the diagram is a branch. Every place where branches come together is called a node. Nodes indicate a set of words that act together as a unit: each node corresponds to a group of words called a constituent, which you’ll learn about in another unit. If a node has no daughters, we call it a terminal node. Within a tree diagram, we can also talk about the relationships between different parts of the tree. Every branch joins two nodes. The higher one is called the mother, and the lower one is called the daughter. A mother can have more than one daughter, but each daughter has only one mother. And, as you might expect, if two daughters have the same mother, then we say that they’re sisters to each other. 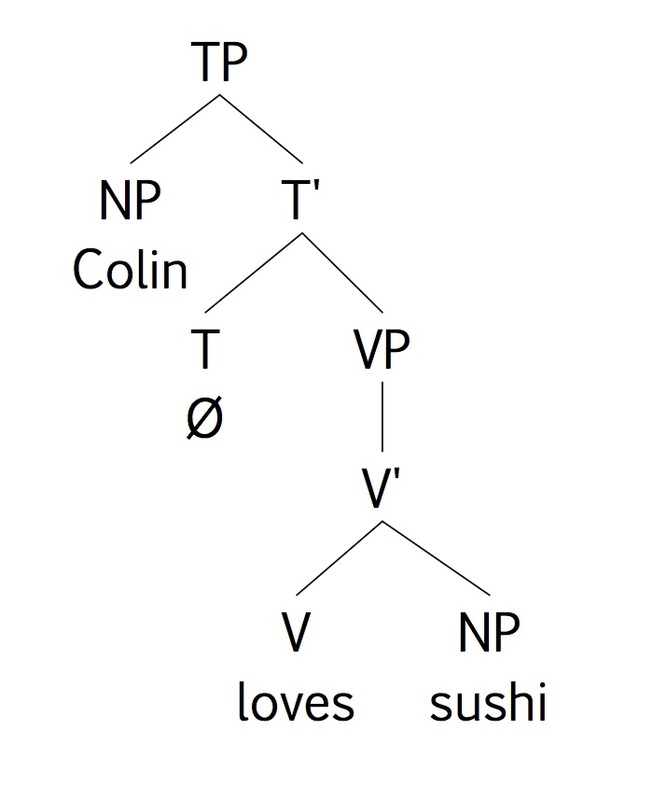 Having this vocabulary for tree diagrams will allow us to talk about the syntactic relationships between the parts of sentences in our mental grammar.